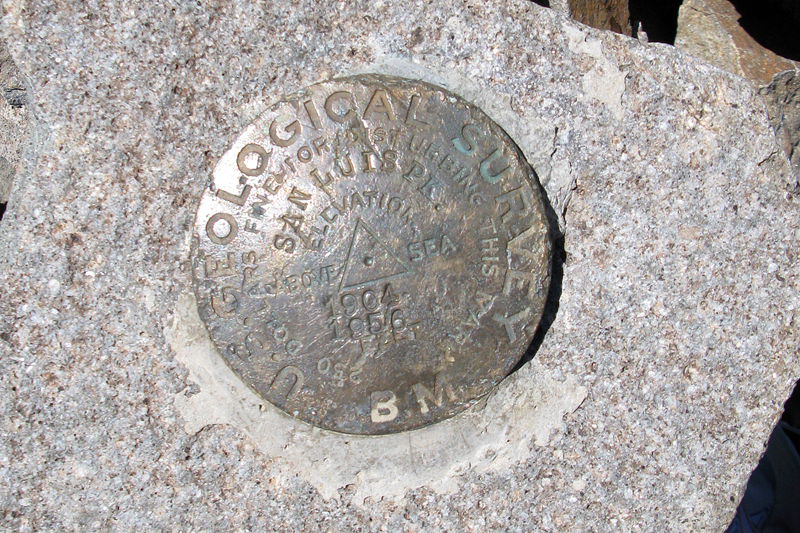 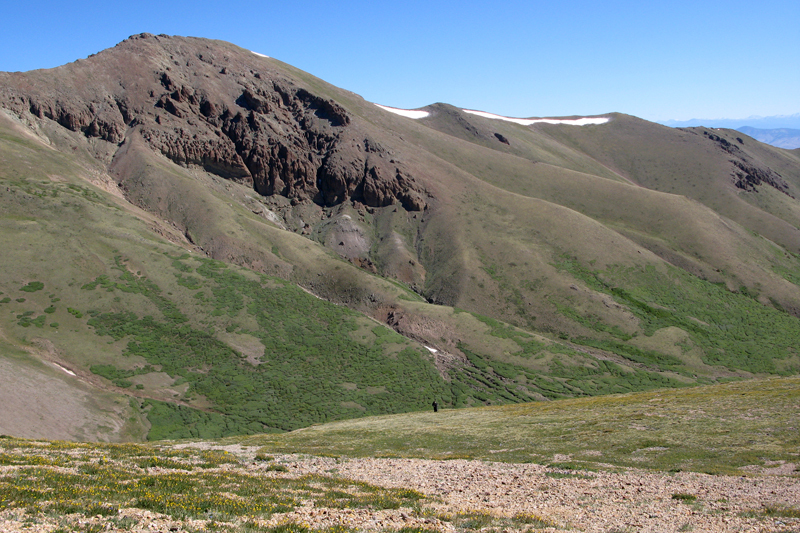 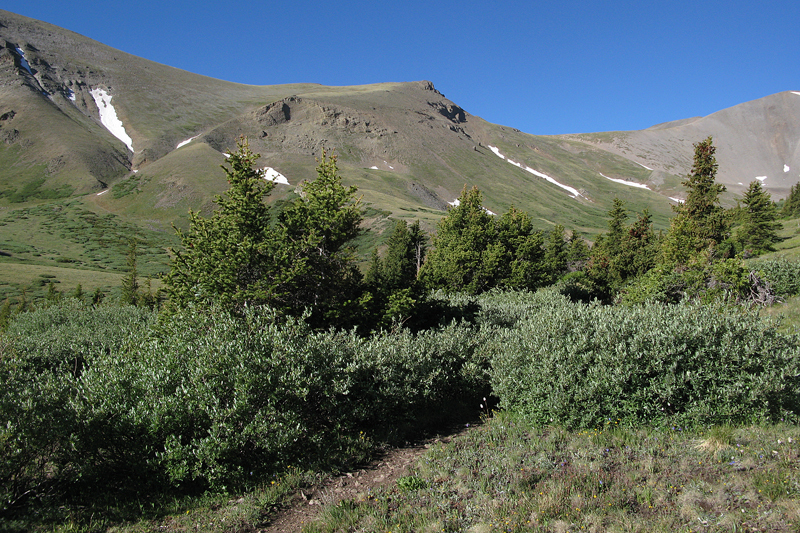 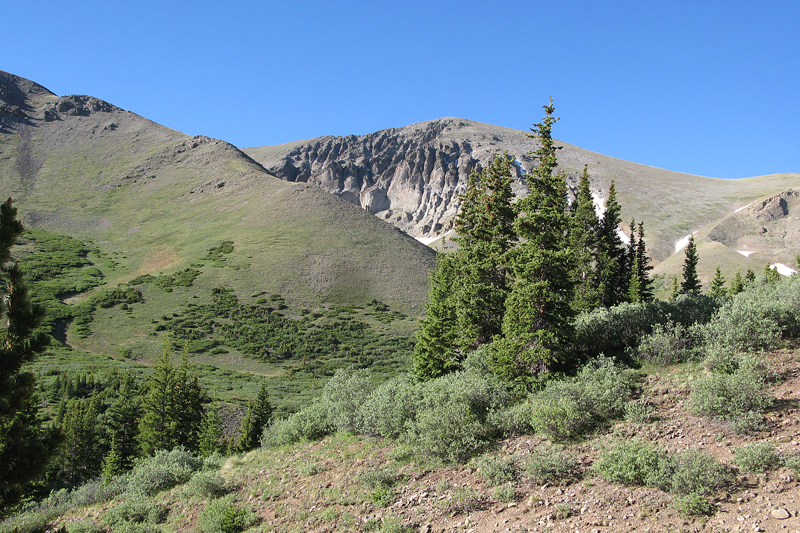 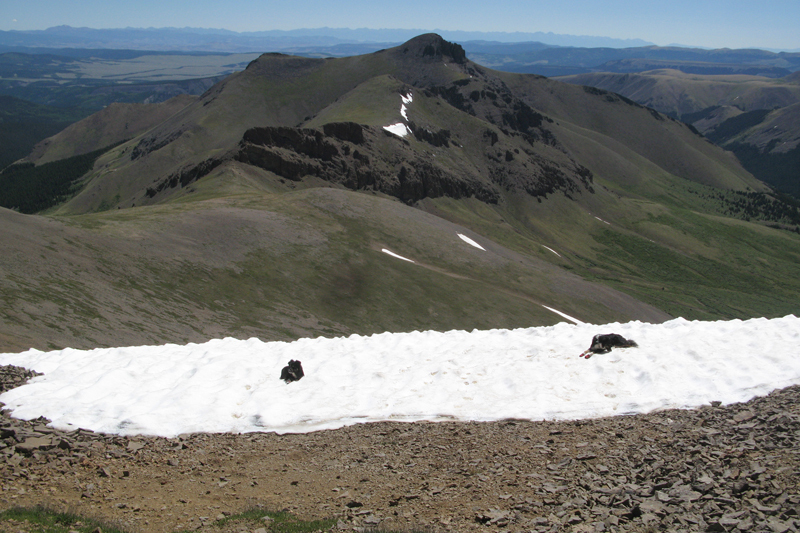 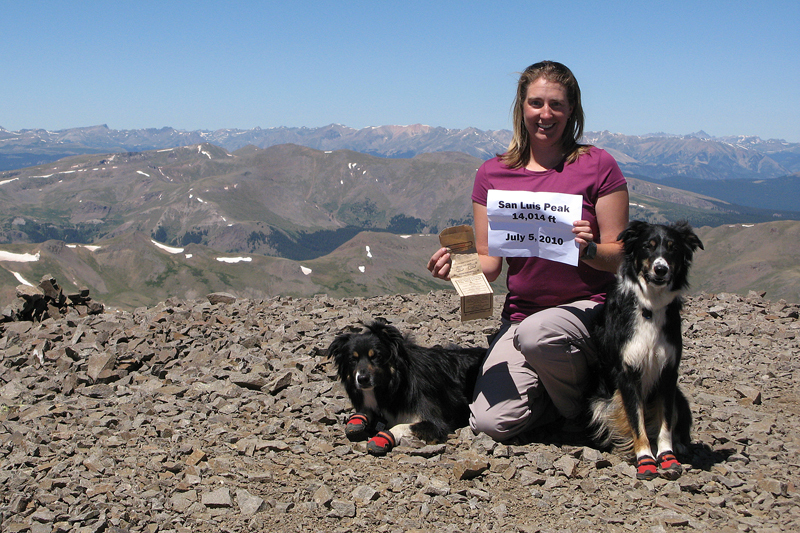 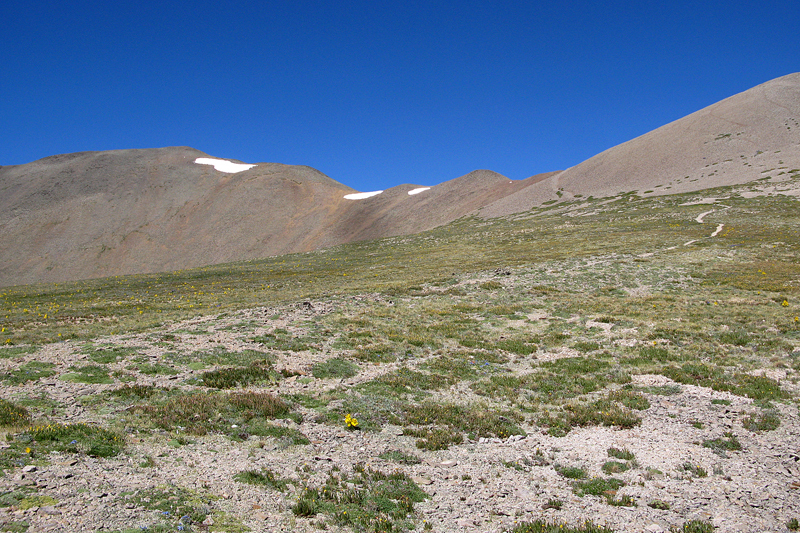 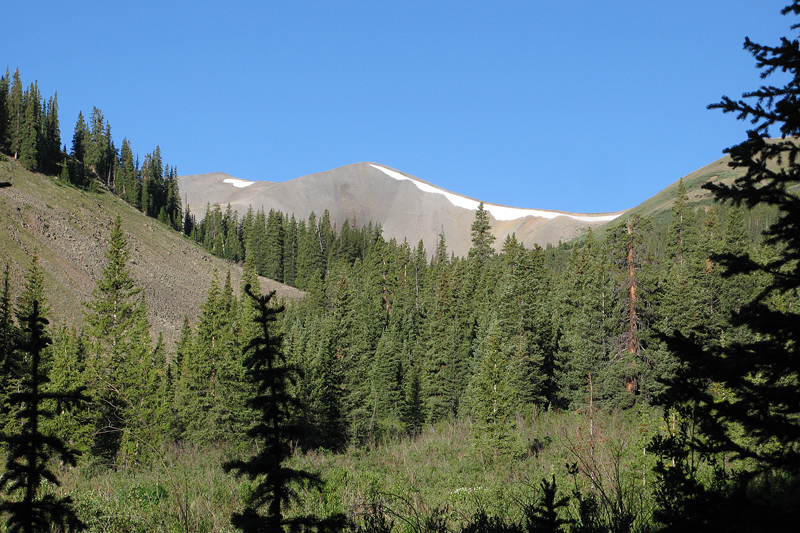 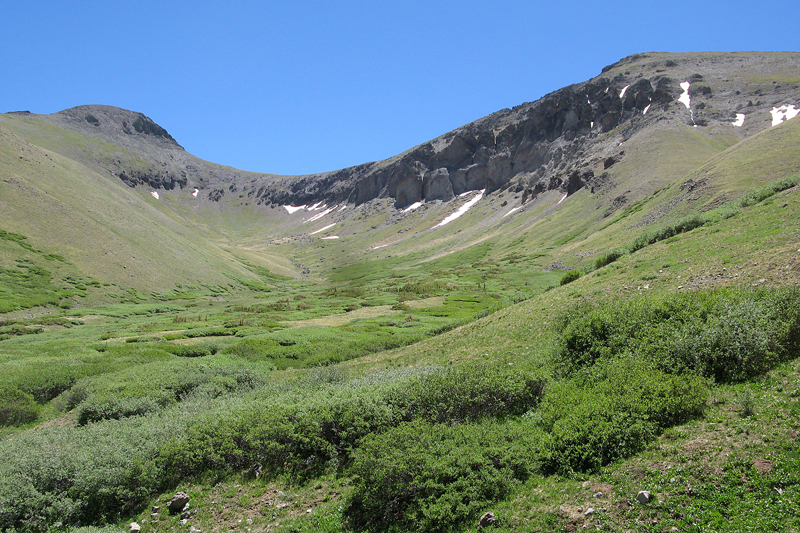 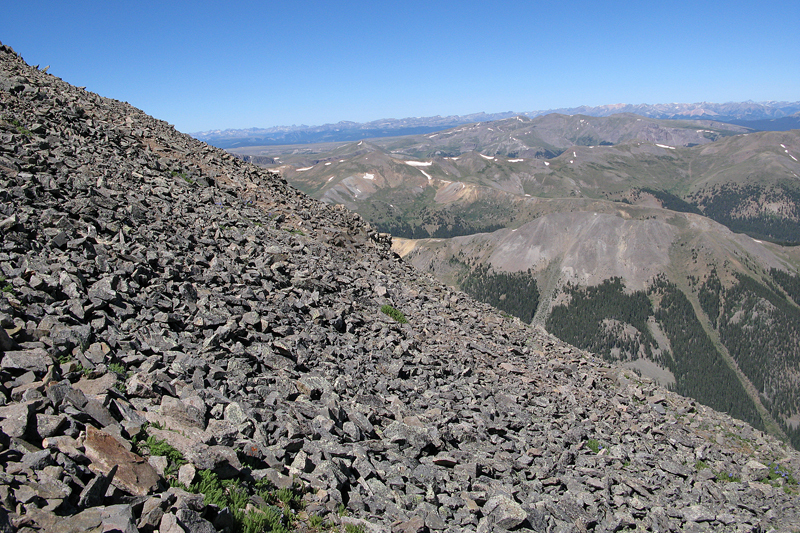 San Luis Peak is one of the more remote Colorado 14ers. 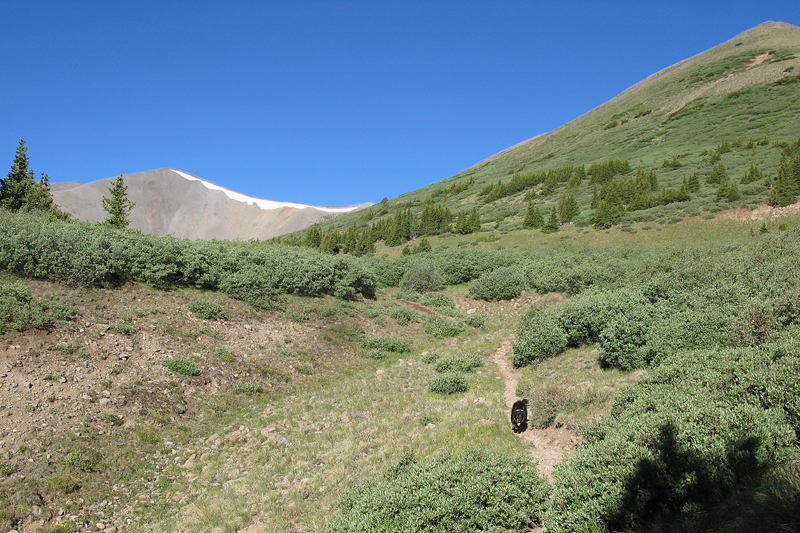 The past 3 years we've camped close by, so this year we decided we'd go hike it! 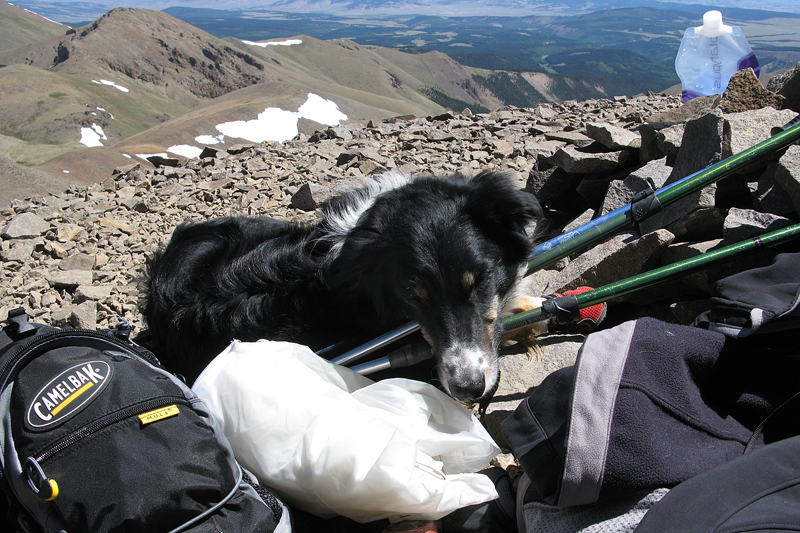 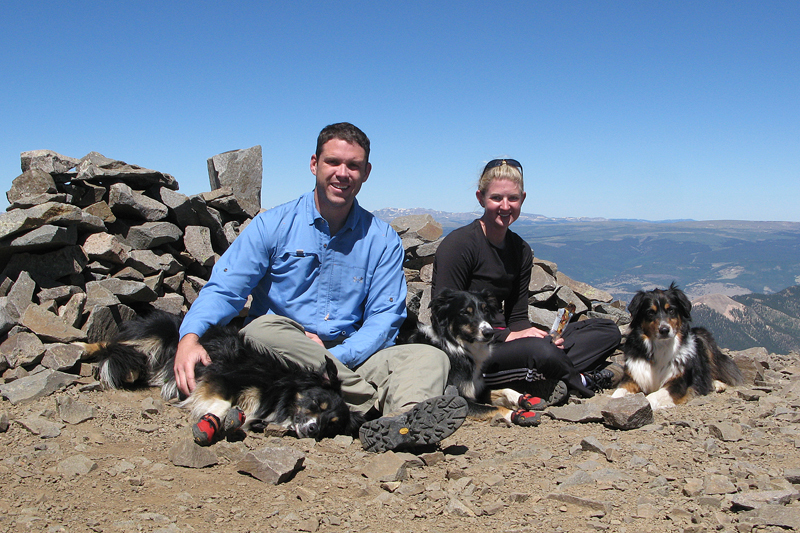 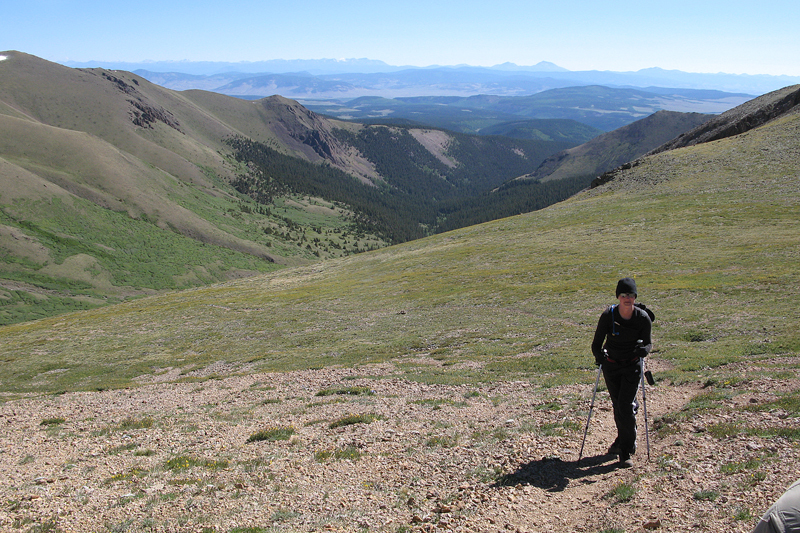 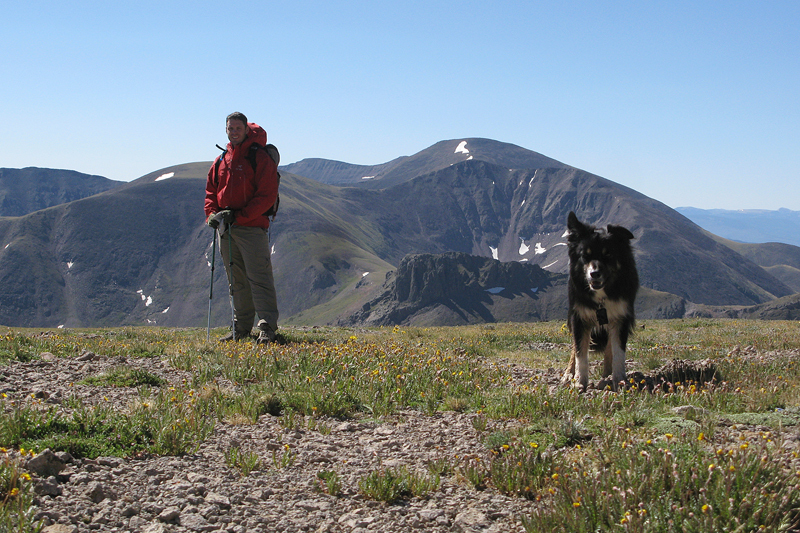 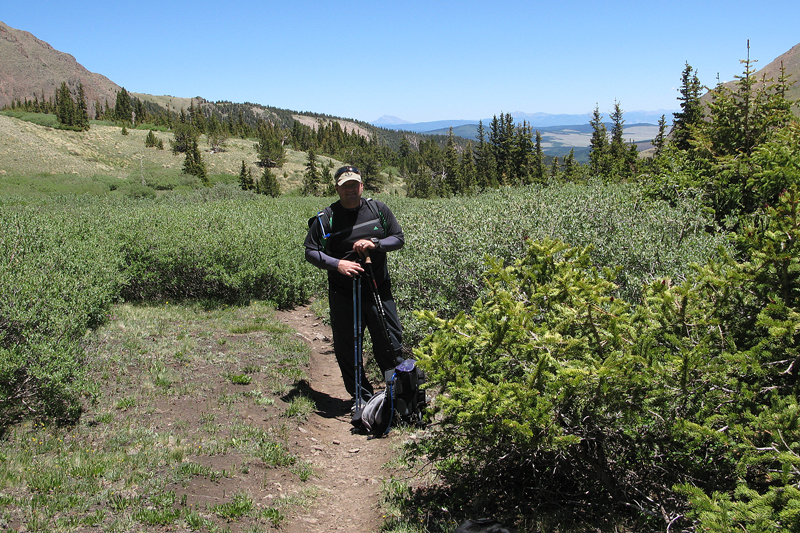 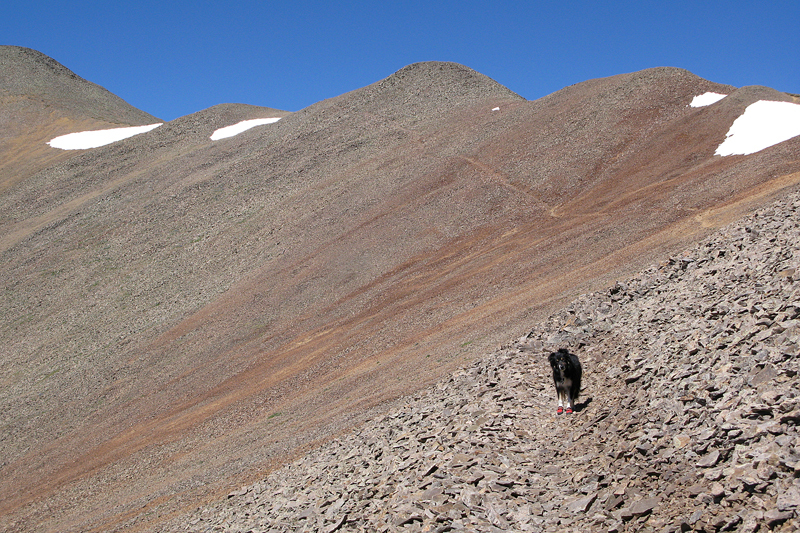 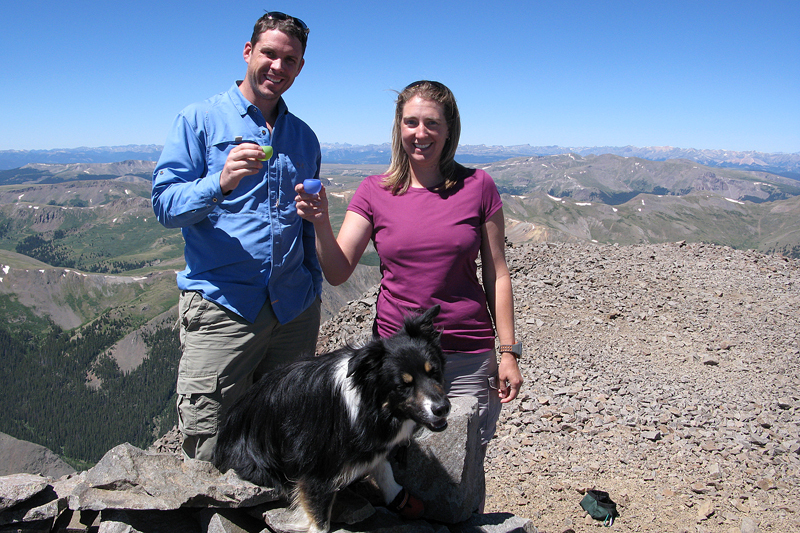 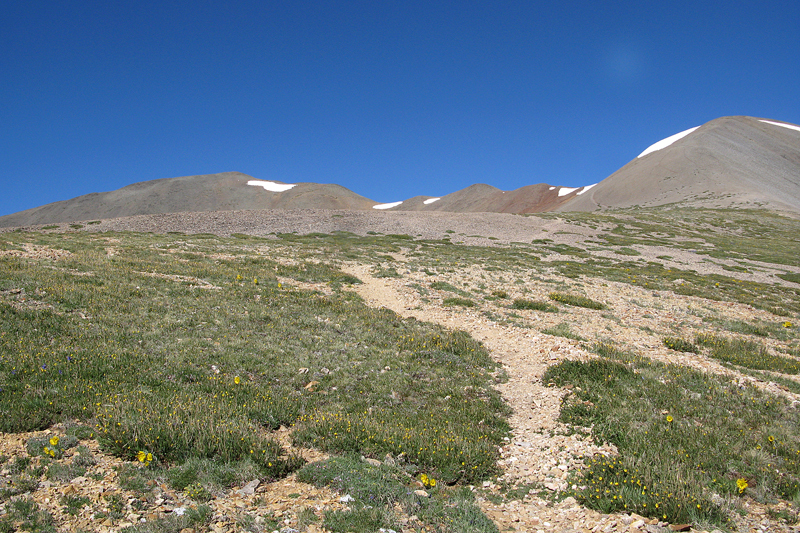 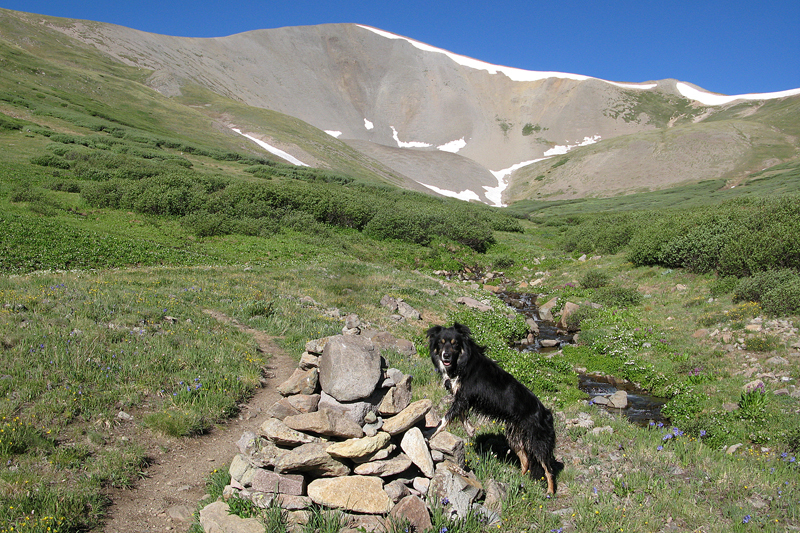 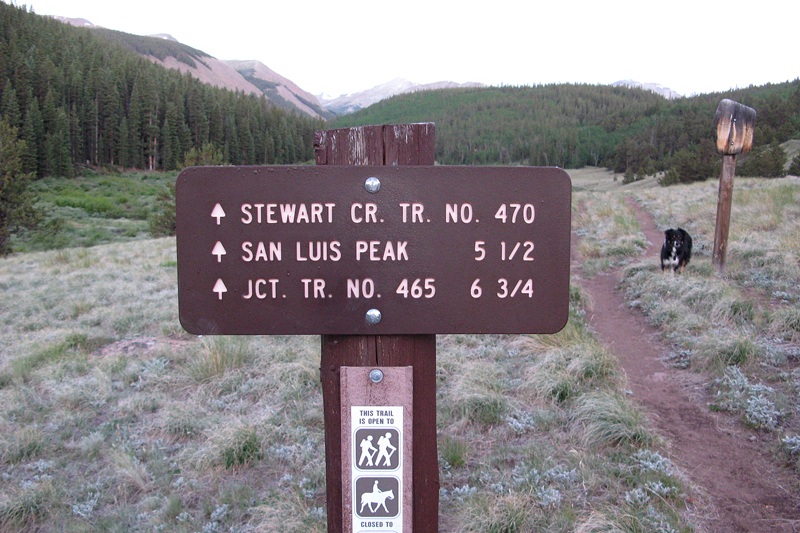 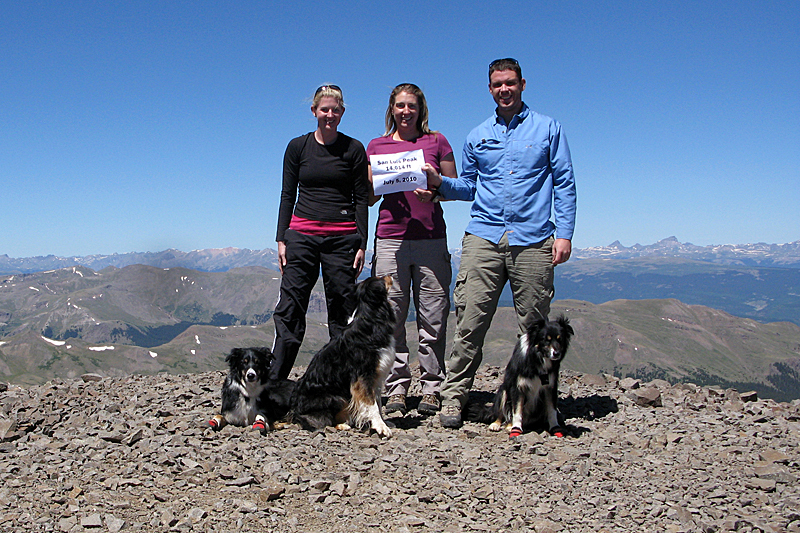 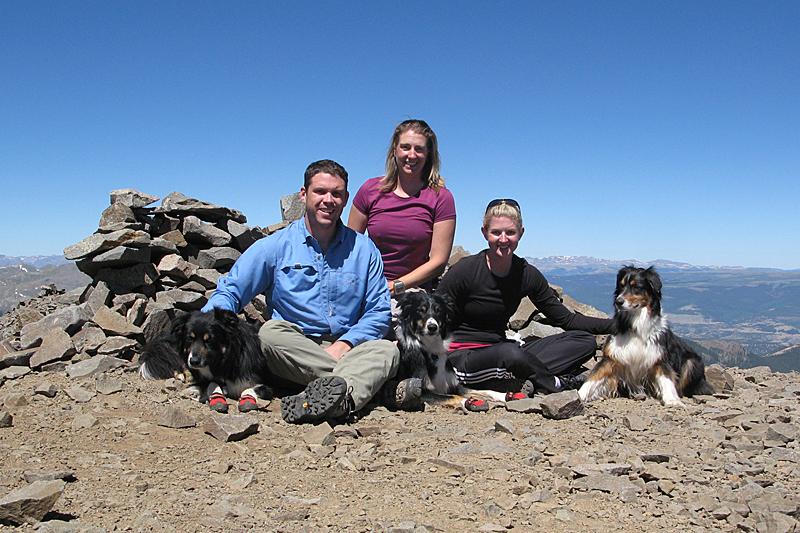 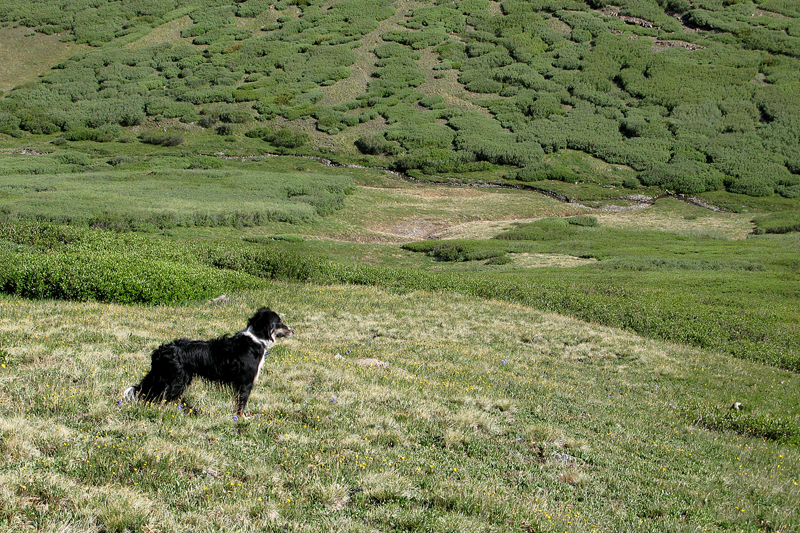 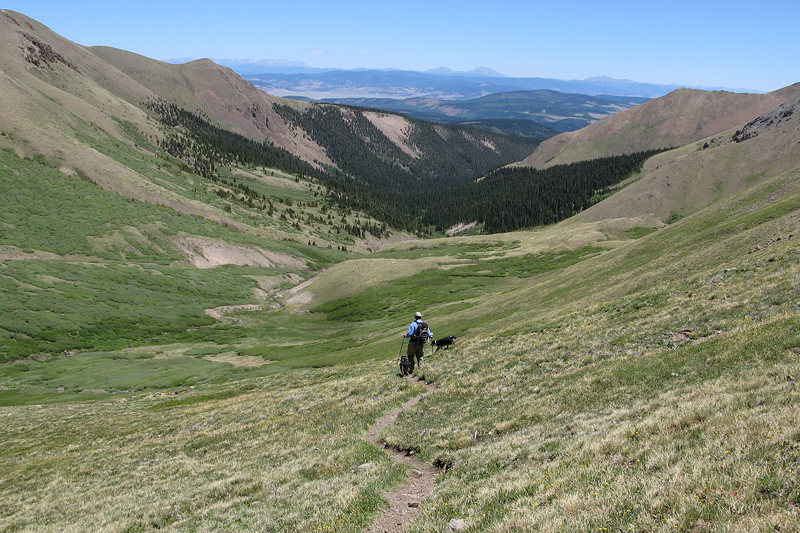 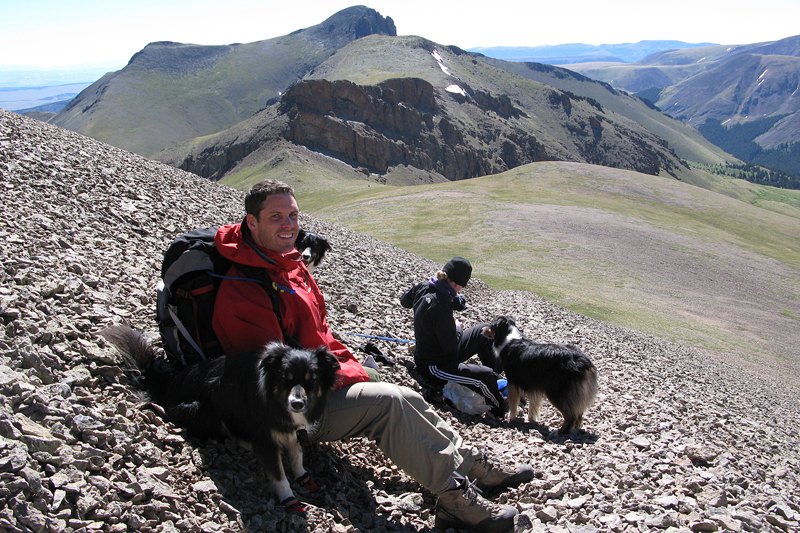 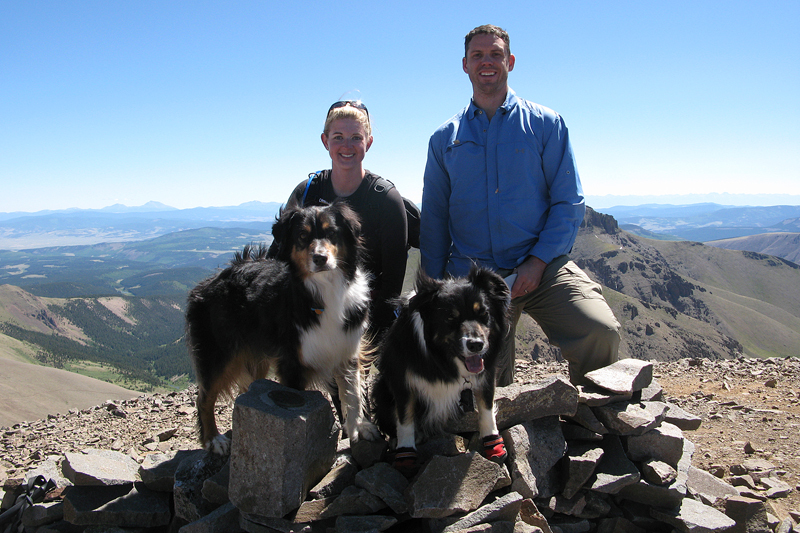 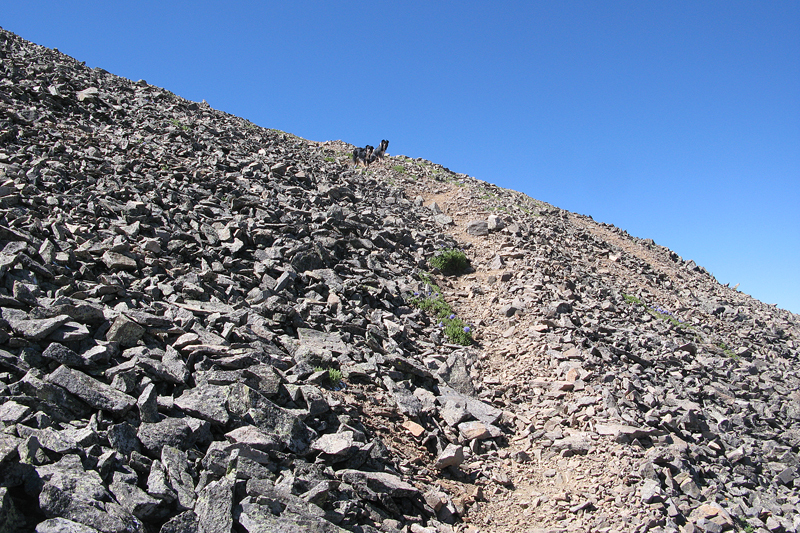 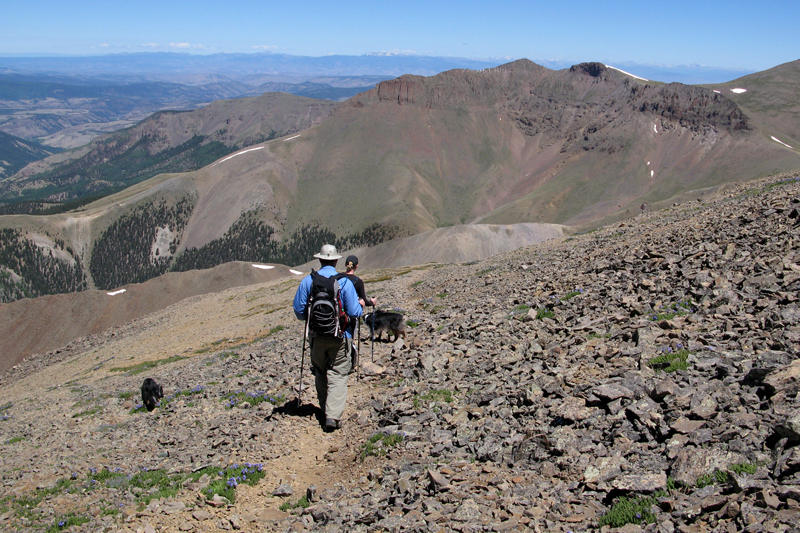 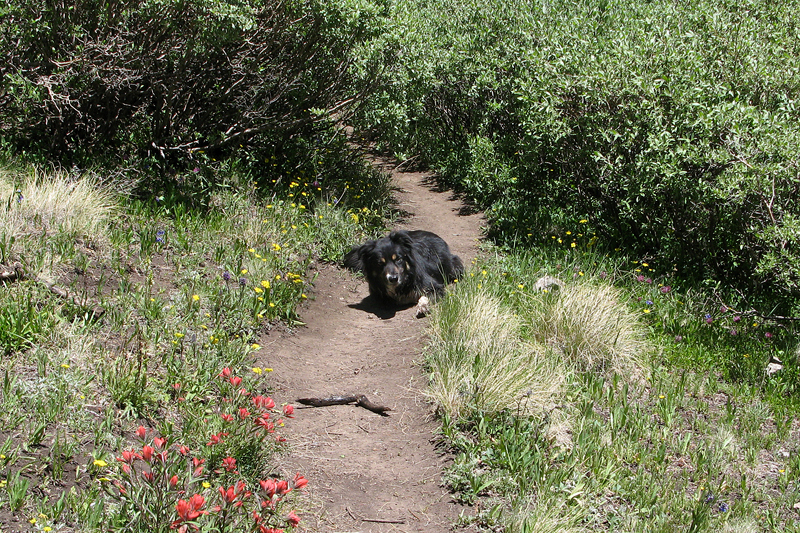 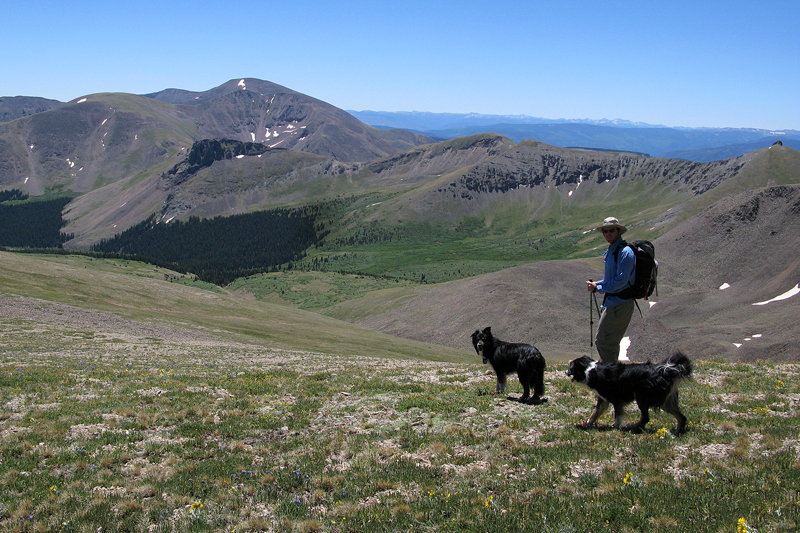 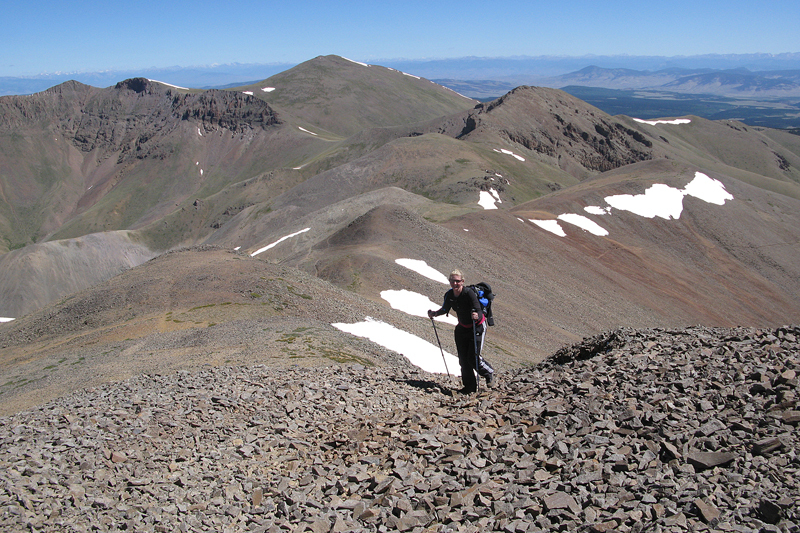 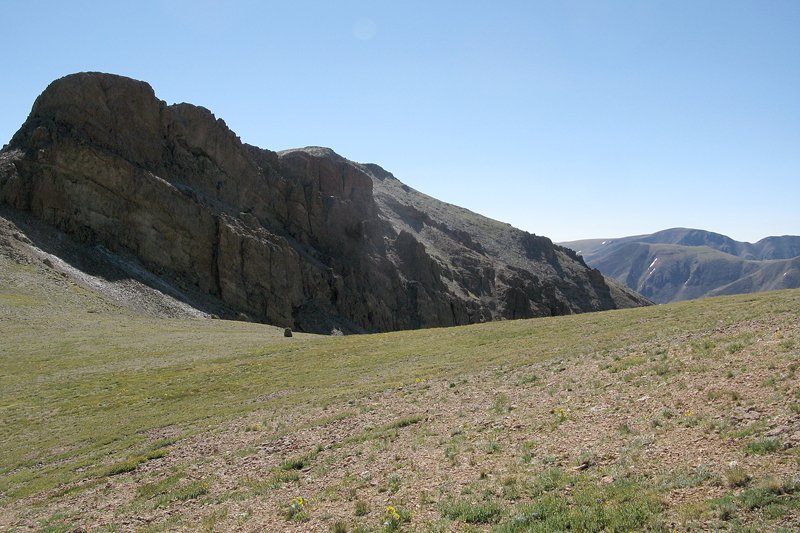 We want to hike more of Colorado's 14ers, so this was a great one to start off the 2010 hiking season. 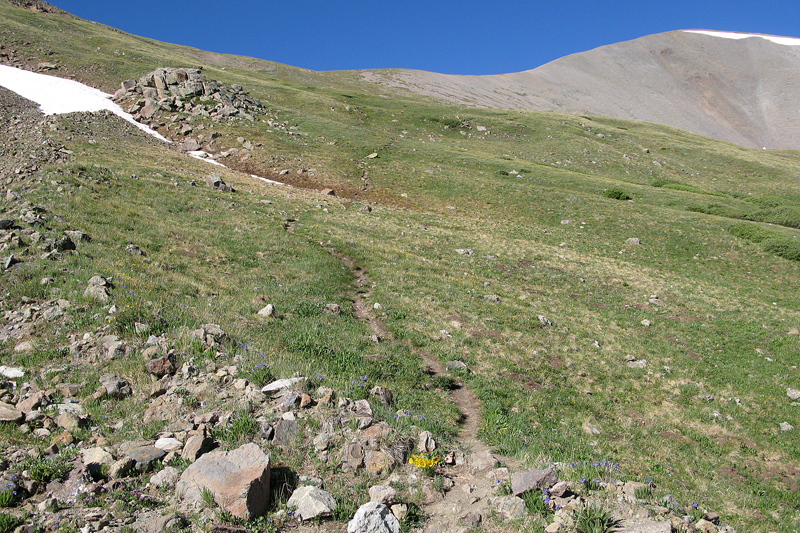 It's a longer trail, but it was a lot of fun. 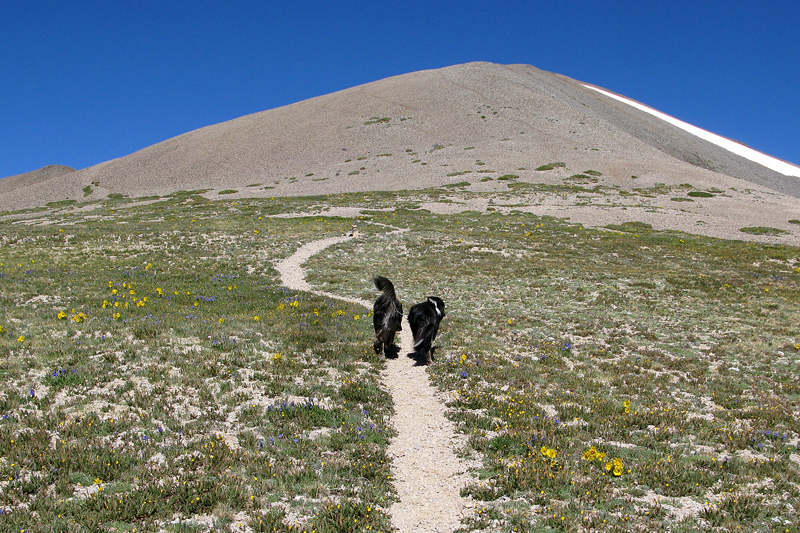 We only saw about 12 other people on the trail the entire day and we had the summit to ourselves! 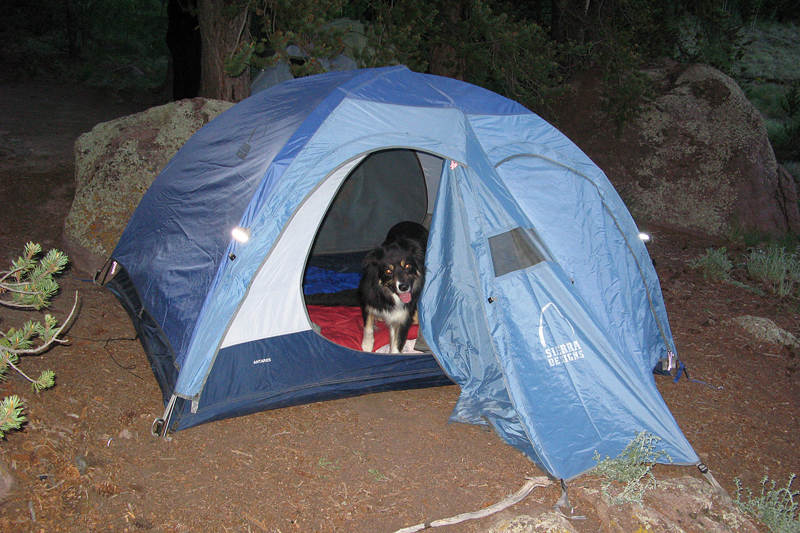 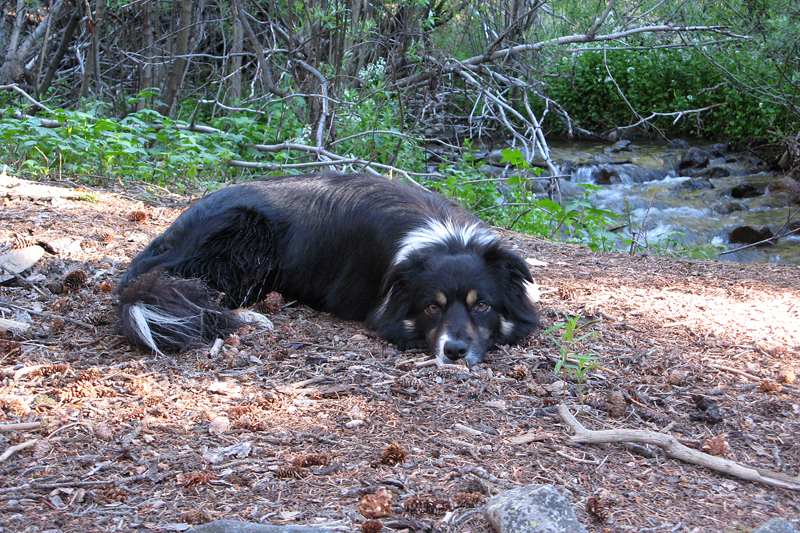 Camped out a the trailhead the night before. 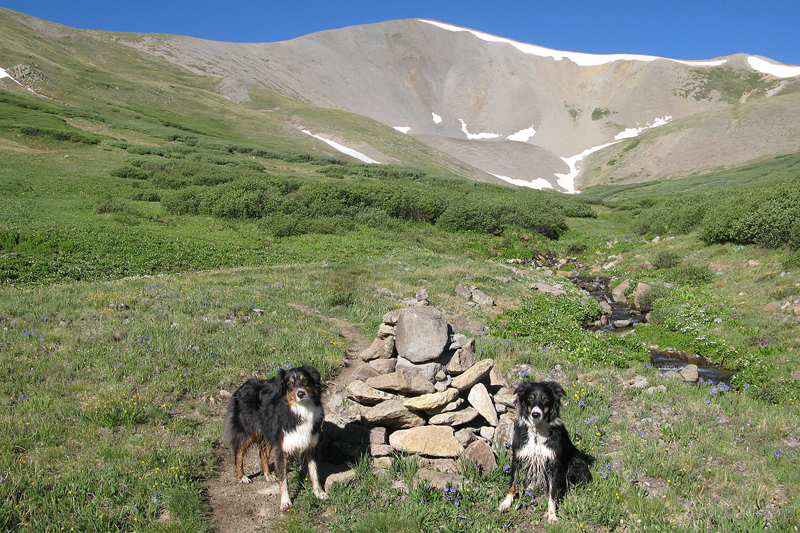 Calvin & Brisco - trail buddies! 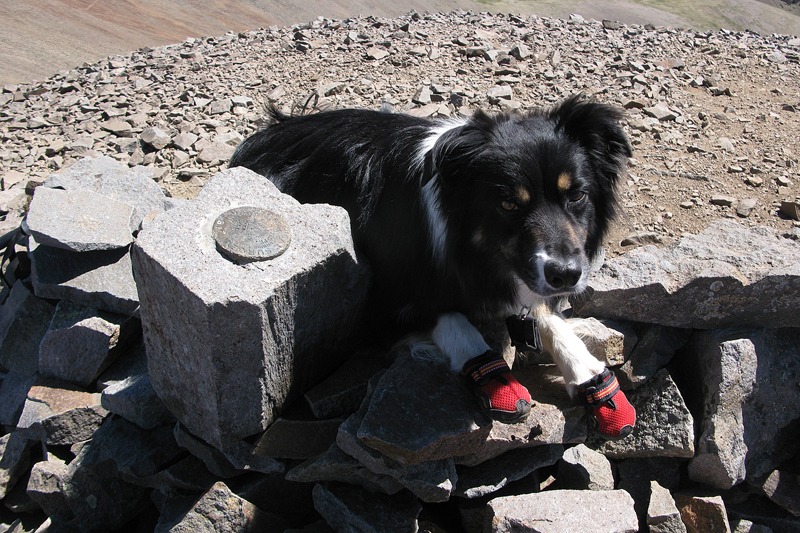 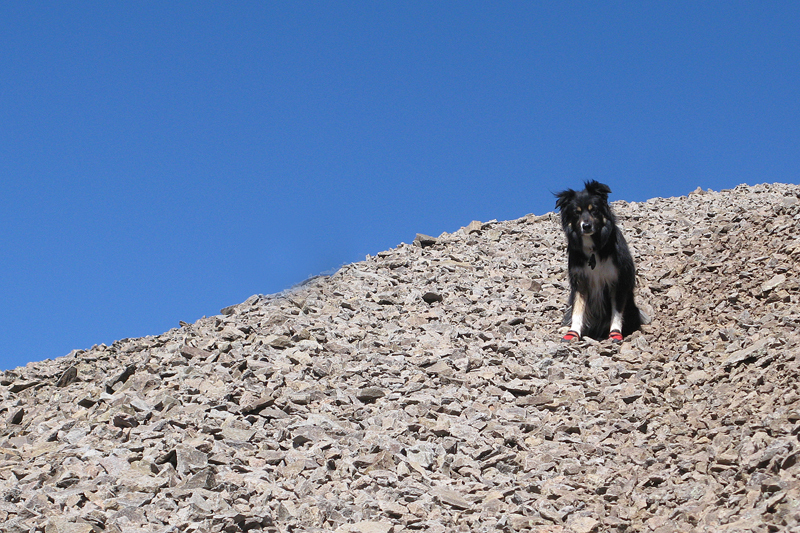 Brisco waiting for us - stylin' in his booties! 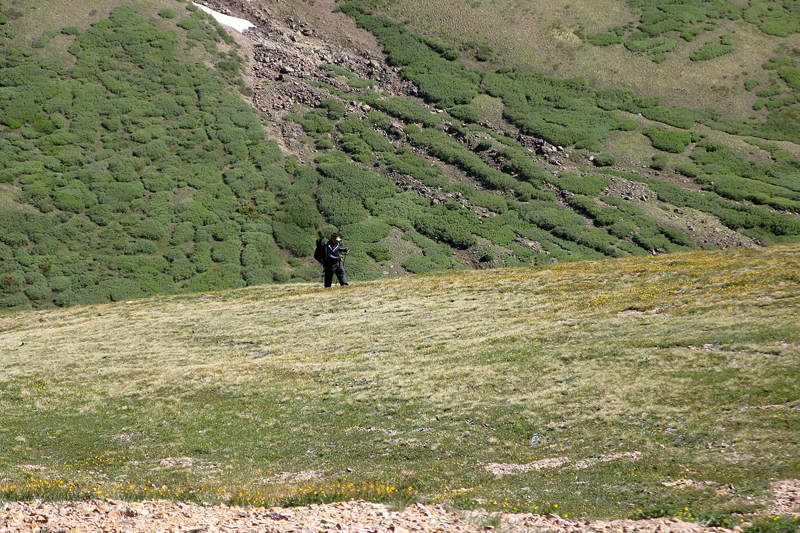 Which Wich picture - Free sandwich soon!